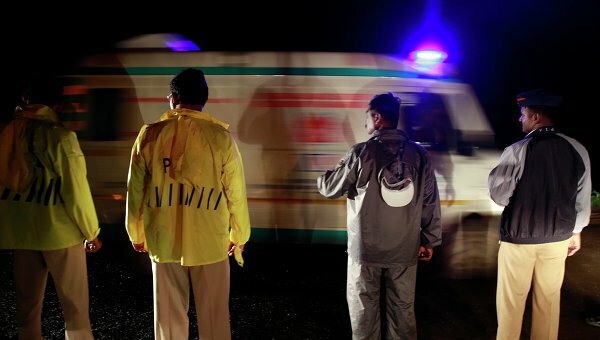 At least 10 people were killed while 80 others fallen ill and subsequently hospitalised Friday after consuming food offering at a Hindu temple in southern Indian state of Karnataka, officials said, Xinhua reported. The devotees gathered at Maramma temple at village Salwadi in Chamarajnagar district, about 165 km south of Bengaluru, the capital city of Karnataka state. Health officials visiting the ill said it appeared the victims consumed adulterated food. "So far 10 people were killed and 80 others who complained of vomiting and nausea have been hospitalized," a senior government official said. According to officials, there was a foundation laying ceremony of a large pyramidal tower over the entrance gate of the temple and many people had gathered for the event. "It's here at the temple that people consumed a rice-based prasadam (food offered at religious place) and later on complained of vomiting and nausea," the official said. Health officials suspect the death toll was likely to increase owing to the critical conditions of some hospitalized persons.